maybe 3 awesome dudes? Not sure which. Anyway, a photographer I'm not, but 80 degrees on the day after Thanksgiving inspired me to shoot my 3 GO pieces together. 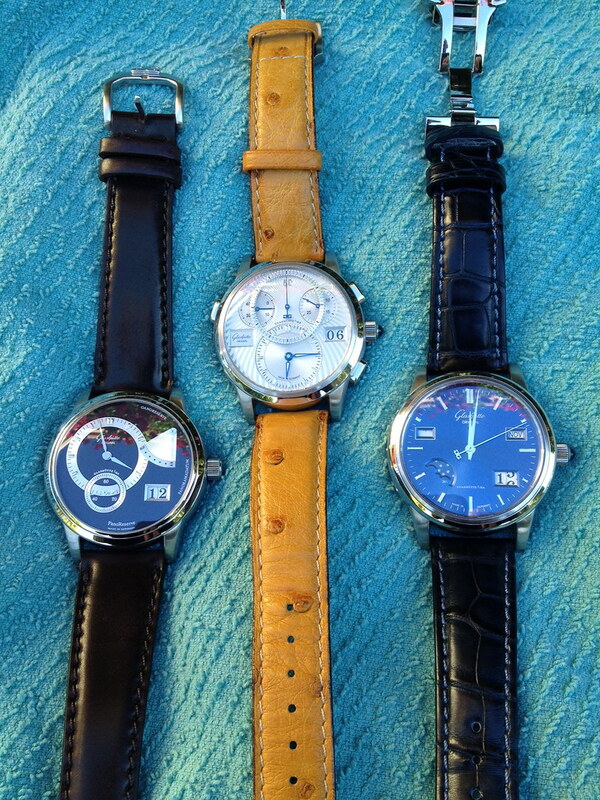 All are platinum, with the Panoreserve, Panomaticchrono, and Senator perpetual calendar from left to right. 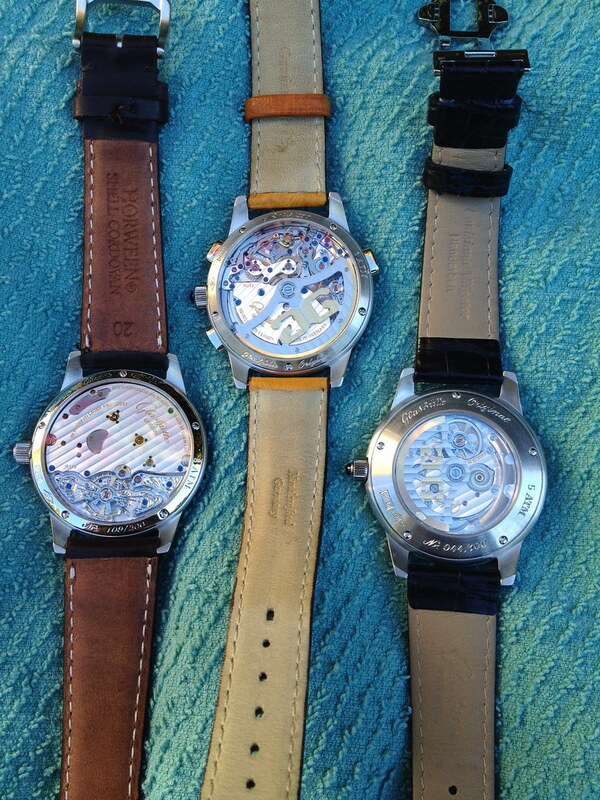 The Panoreserve and Panomaticchrono both have original platinum buckles, with the Senator sporting a SS deployant - they were all pre-loved, not sure where the 950 buckle or deployant went on that one. Anyway, with a bit of my bougainvillea mirrored in the background, enjoy. Previous Topic: How many words is a picture worth?